Who’s involved? – We need a national housing strategy now! The Right to Housing (R2H) Coalition includes people from a variety of backgrounds and expertise, including people with lived experience of homelessness or of being inadequately housed, community organizations, advocacy groups and academics. In addition, academics and experts from across Canada and around the world contributed their time and expertise to develop expert witness affidavits for the Charter case. Please see application material for more information. 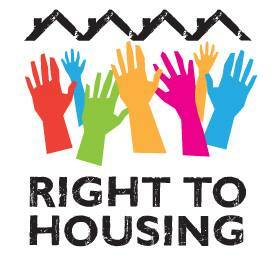 If your group or organization is interested in becoming involved and/or endorsing the Right to Housing campaign, please get in touch with us.